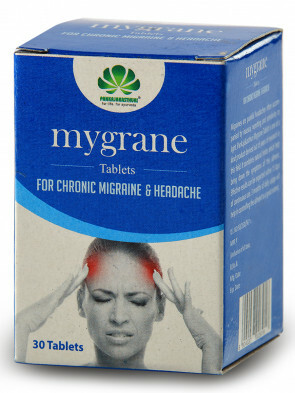 Mygranes are painful headaches often accompanied by nausea, vomitting and sensitivity to light. 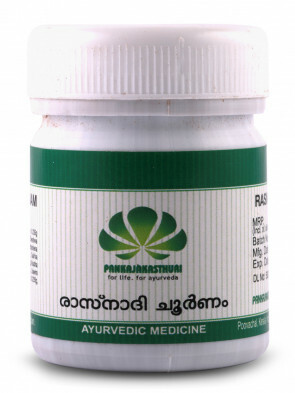 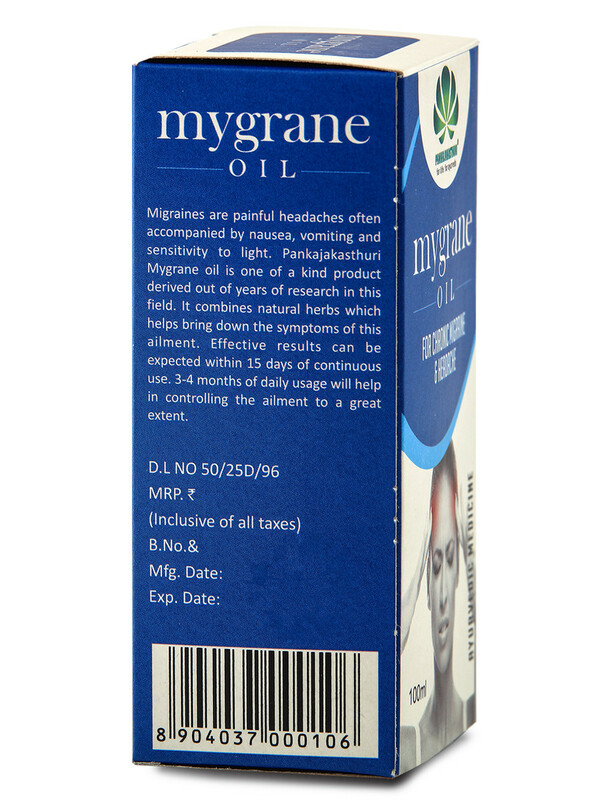 Pankajakasthuri Mygrane Oil is one of a kind product derived out of years of research in this field. 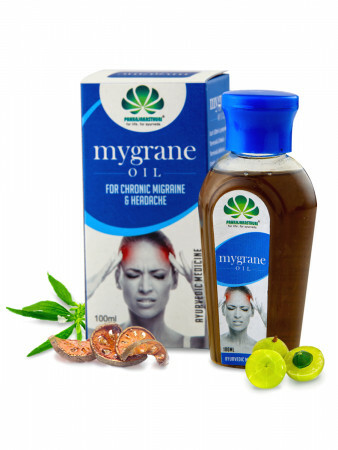 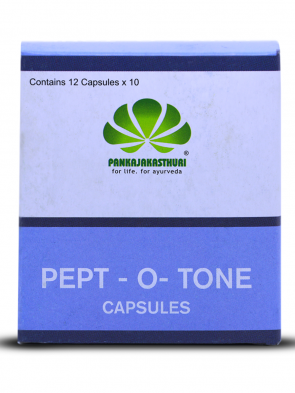 * It combines natural herbs which help bring down the symptoms of this ailment. 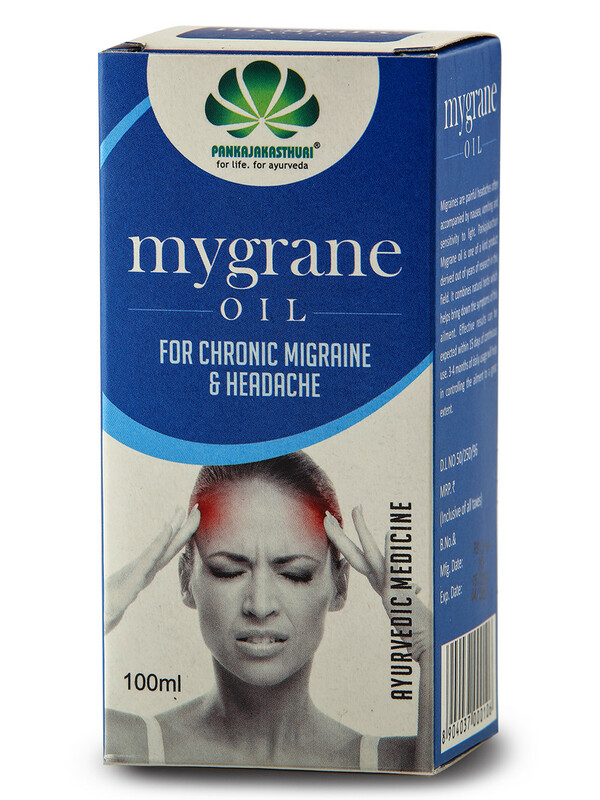 * This oil provides permanent relief for even the oldest cases of migraine. 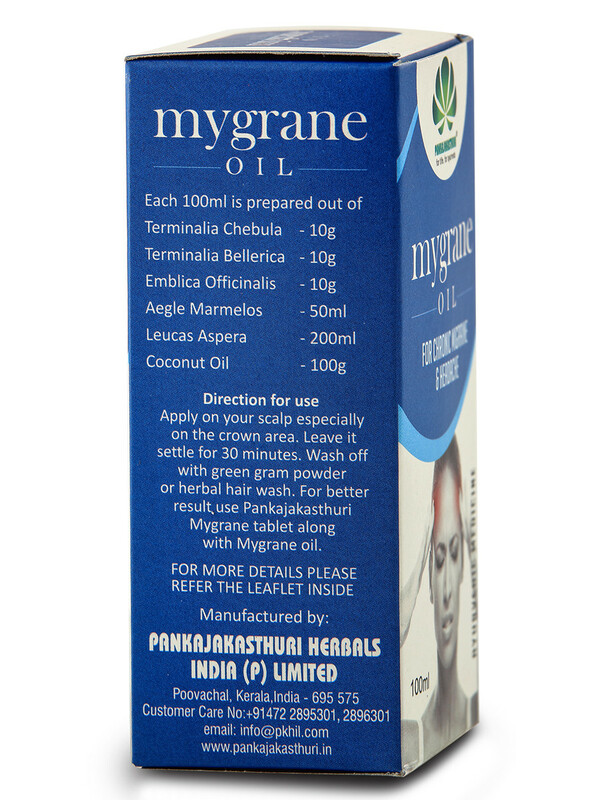 Apply on your scalp 15 minutes before taking bath for 4-6 weeks. 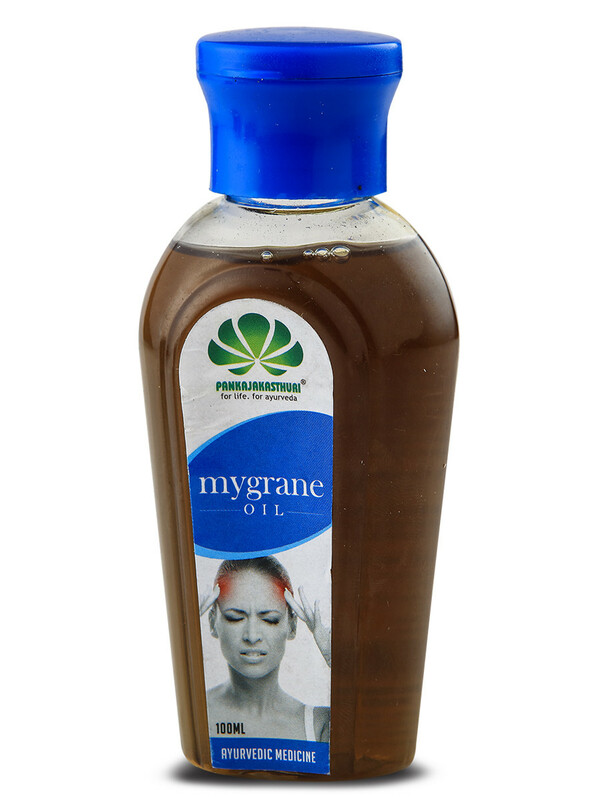 Wash off with green gram powder or herbal hair wash. For better result use Pankajakasthuri Mygrane tablet along with Mygrane oil.